Miles of Trails to Explore! 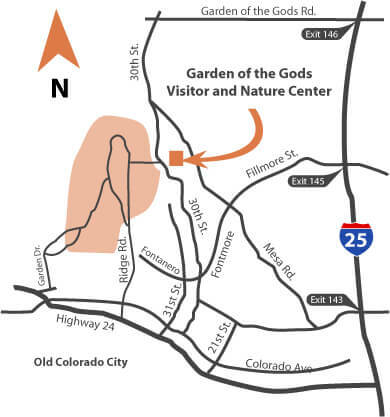 Begin at the North Garden parking lot for easy, paved foot paths through the heart of the red rock formations. From the South Garden parking lot there are approximately 5 miles of trails for mountain biking and hiking. In addition, all one-way roads in the park have paved bike lanes. 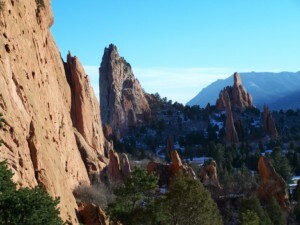 PERKINS CENTRAL GARDEN TRAIL, an easy 1 1/2 mile loop over a paved, wheelchair accessible footpath through spectacular, towering red rock formations. 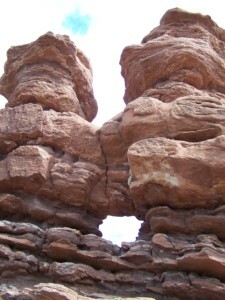 SIAMESE TWINS TRAIL, a moderate 1/2 mile loop,offering a unique view of Pikes Peak framed by twin red rock towers. 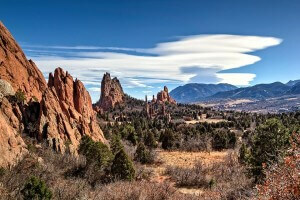 RIDGE TRAIL, is a moderate 1/2 mile loop winding over a rocky pathway with beautiful scenery.